You've been told since you were little that it's what's on the inside that matters. While it's definitely true that you have to possess all the right qualities to work in industries like medicine, hospitality, and food service, it turns out that what's on the outside does matter a fair amount. No, we're not talking about your physical appearance, we mean even further outside -- we're talking about what you're wearing. We wrote recently about the self-psychology of what you wear to work, and now we want to tackle the opposite: ways that your work uniforms influence your customers. According to researcher Mary Lynn Damhorst, what we wear directly influences how others perceive us, especially in the areas of competence, power, and intelligence. While the ways that a work uniform projects these qualities, and which qualities are projected in the first place, likely differ from industry to industry, the concept remains the same. Perhaps most evident in the medical industry, uniforms project all of the three qualities mentioned above, and then some. A doctor wearing a lab coat, or a nurse wearing scrubs, is just more trustworthy and professional looking than those dressed otherwise. It's the same reason why businessmen wear suits to work -- the way you present yourself speaks volumes to your character at work. 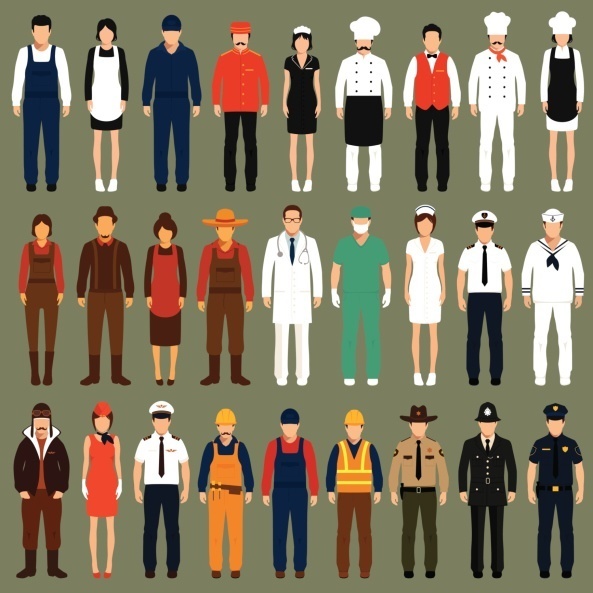 Furthermore, in hospitality, industrial, or public safety settings, a work uniform conveys knowledge that that person knows what they're doing and can help you with their problems. If you see someone in auto mechanic coveralls, your first thought will be that that person can help you fix your car. Logos and branding on uniforms is a great way to take this a step further and present yourself as an important part of your company. Customers will see your work uniforms and be drawn to you as someone who knows what they're doing and can help them with whatever problems they may have. If work uniforms might fit into your workplace, it's time to start thinking about instituting a uniform policy!